Chef Charlotte Langley has a lot on her plate. She's probably best known for Scout Canning, her nearly four-year-old company focused on canned sustainable seafood that the Prince Edward Island native calls her "PEI alter-ego." Scout has a loyal following eager for her cured trout, smoked oysters, mussels in tomato and oil and Spanish-style albacore tuna conserva. In the past year, the 33-year-old has seriously added to her résumé. She launched Bibs & Bubbs, an event series centred on her love of oysters and Champagne, plus worked as the buyer and food stylist for Top Chef Canada. She served as chef and culinary curator at the annual Restaurants Canada trade show and contributed to an upcoming cookbook by John Bil of Toronto restaurant Honest Weight. Plus, she took on the role of Canadian chef and brand ambassador for the Marine Stewardship Council, developing fun, easy recipes using widely available products from grocery stores, to help steer the masses towards sustainable seafood. .
"I feel like a jill of all trades," says Langley, who now lives in Toronto. "One day, I'll be doing a small private dinner, the next working on a trade floor with 15,000 people. I like the challenge of every day being different." She makes it seem easy, but Langley's success came after a long run of bad luck. Four years ago, she was out of work and living on employment insurance. She had just gotten out of a miserable experience as a catering chef – a job she never wanted but took for the paycheque. "I was having a really tough time in Toronto," Langley says. "I couldn't land anywhere that was the right fit for me and I was really frustrated because I had come from such a great place." That would be the Whalesbone Oyster House in Ottawa, where she was executive chef and renowned for her big personality and bold seafood-focused fare. Her move to Toronto came with much fanfare and high hopes, but three years in, Langley accepted that in the capital she had been "a big fish in a small pond. "I realized," she says, "if I couldn't find something, I needed to make it myself." Betting on herself, Langley funded Scout's debut on her credit card. The idea was inspired by "chicken haddie," a classic mix of haddock, hake, cod and pollock once supplied by PEI's Babineau Fisheries. "It makes the best fish cakes," Langley says. "They stopped making it and I missed it, so I decided to make it myself." From that kernel of inspiration, Langley quickly branched out into other products. She was soon selling to wholesale clients in the city and hosting events built around her canned goods. And with that, she was back on the scene – working for herself and making her mark in the industry. 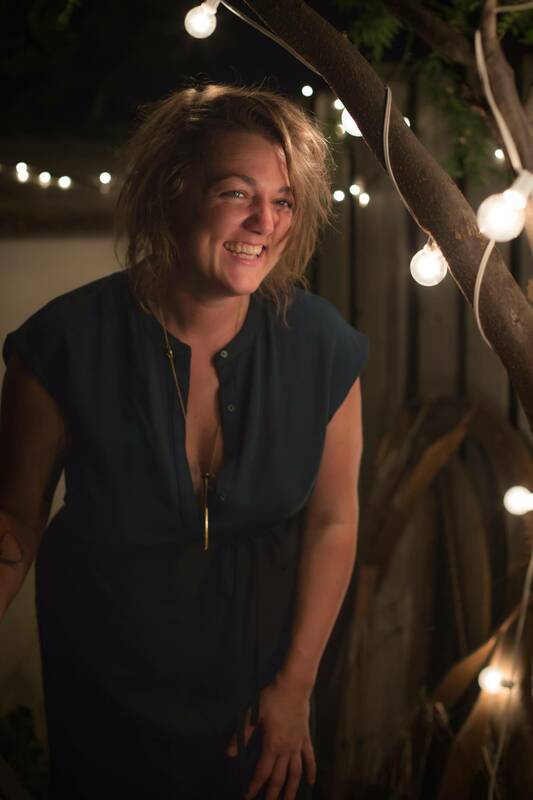 "Her events feel like you're at the best dinner party that you've never been invited to," wine importer Nicole Campbell says. Along with sommelier Krysta Oben, Campbell hosts wine events under the name Grape Witches and the duo have collaborated with Langley to pour wine at Bibs & Bubbs events. "Her food's not trendy, it's not made to show off, it's just exceptional food that we just want to eat," Campbell says. "And Charlotte's talking to everyone and connecting with people in a way that you wouldn't have in a traditional restaurant. She's all about creating an inclusive space." Langley is remarkable for a number of reasons, one of which is that yes, she's a woman in a profession with a spotty reputation toward them. In recent weeks – and mirroring revelations in the entertainment industry, politics and beyond – numerous reports have shone a light on long-standing rumours about sexism in the industry. Notably, the New Orleans Times-Picayune ran a wide-ranging exposé on sexual harassment within famed chef John Besh's restaurant group, including allegations against Besh himself. In Ottawa, chef and restaurateur Matthew Carmichael admitted to sexual harassment as some employees approached reporters with their stories. In response, male industry heavyweights such as Tom Colicchio and Daniel Patterson published essays discussing the need for change in restaurant culture. Langley, though, points to a piece written for Esquire by Amanda Cohen – a Toronto native most famous for her New York restaurant Dirt Candy – as ringing most true to her. In it, Cohen laments the media only pays attention to women in the industry when stories such as this surface, largely ignoring their talent and accomplishments otherwise. "She hit the nail on the head: Like, it took sexual assault for you to pay attention to female chefs?" Langley says. "I am a chef who just happens to be a woman. Coming into a kitchen as a chef or a cook who happens to be a woman is always challenging. For lots of reasons, not just sexual assault and harassment." And so, another project she's taking on is a partnership with Vancouver chef Mark Brand for his Greasy Spoon Diner Supper Series, a three-year-old event that features top chefs serving four-course diner-inspired meals. Next year, Brand and Langley will collaborate to feature a Greasy Spoon roster comprised entirely of chefs "who happen to be women." Their foremost hope is to showcase some of the country's best cooks, while also deepening the discussion around equality in the industry. Langley will serve as chef for one dinner and help Brand recruit chefs for others, including some to be held outside of Vancouver. Right now, all dinners take place at Brand's butcher shop and diner, Save on Meats. He's not just a chef, but a social entrepreneur and community activist, one long celebrated for providing both meals and employment to countless members of the city's marginalized Downtown Eastside community. So it's not surprising that proceeds from the series go to charity (Brand's A Better Life Foundation, which focuses on food security in the city) or that he's interested in helping bring better gender balance to professional kitchens. "We could do 10 years of chefs who just happen to be female, or 10 years of chefs who just happen to be male," Brand says. "But the point is to start the conversation because the industry definitely needs some change." And though Brand only met Langley a few months ago, he instantly knew she was the right person to help shed a light on those challenges and help promote equality and inclusion. "Charlotte will call you out when you're wrong but you don't feel like you're being attacked, you feel like you're being nurtured and understood," he says. "She's inspirational and also motivational. Not Tony Robbins motivational, but 'I've been in the trenches' motivational. And she's just an amazing cook, too." Another unusual aspect of Langley's success is that it has come outside of restaurants. This unique path affords her a level of control she wouldn't have running one permanent location, allowing her to take on projects she's passionate about. "It's given me the luxury of saying no and making time for myself," she says of her career choices. "There's an opportunity to evolve – my restaurant today wouldn't look the same as I thought it would when I began cooking." When Langley envisions a bricks-and-mortar space now, it's modelled on what she's already doing: A restaurant, but also a café and takeout shop for prepared foods, along with a space for classes and events, and interactive elements such as a DIY canning station. "It's not just one thing, it's multimedia," she says. And while opening a restaurant is still a dream, it's just one of many. "I just want to stay active and I want to stay present," she says. 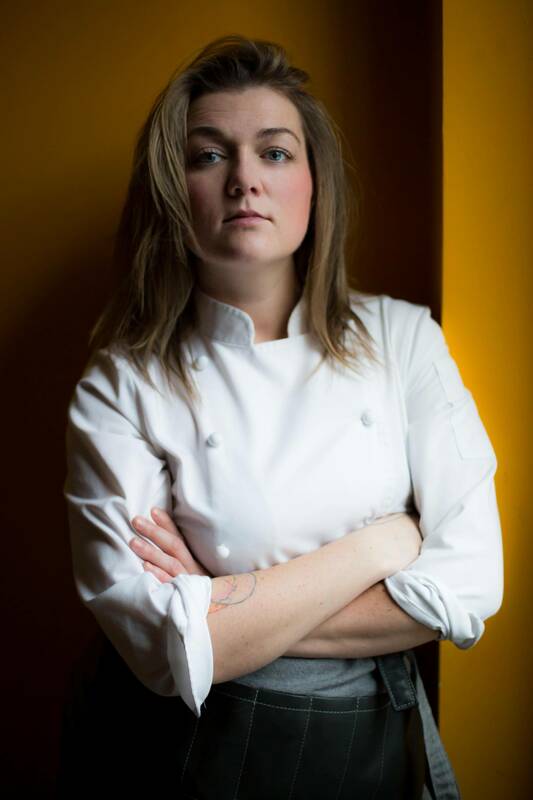 "I want my industry partners to respect me and say Charlotte Langley's got it together – she's doing some interesting and challenging things, whether in a traditional restaurant environment or not."